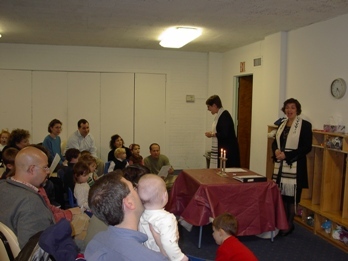 Children participating in services at Congregation Ahavath Beth Israel in Boise, Idaho. As a synagogue president, I participate in the United Synagogues of Conservative Judaism Presidents list-serve, an online forum where synagogue presidents can share experiences, concerns and ideas. Recently, one congregation president asked for help with a "problem." 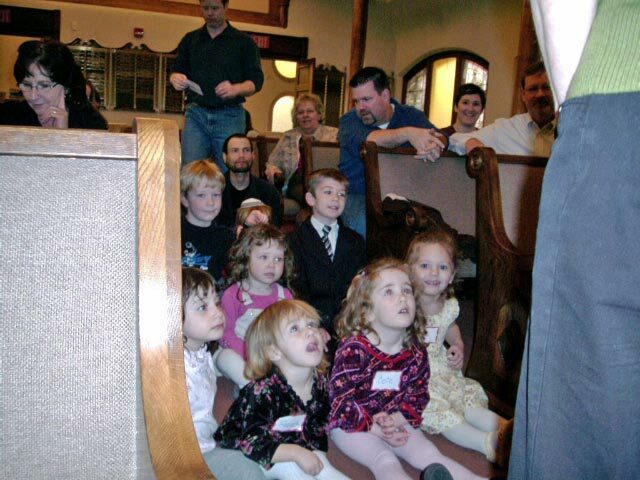 Some congregants at this synagogue were complaining that young children were making too much noise during services. All of the congregational presidents' responses, including mine, were along the lines of it being a great thing for the children to be there and that any noise they made was really okay. Perhaps the best response of all came from the president of a congregation in California who wrote, "As a congregation that seems to have lost its ability to attract children to services, we have learned, in the quiet, we want noisy children around. The solution to dealing with noisy children? Pray louder." The president of a fairly large synagogue in Virginia, related that their rabbi tells people something that is absolutely true, "A synagogue which has no sound of children will later have no sound of adults." A joyous service at the Riverdale Temple. At my synagogue, SJCC-Bnai Aaron, we are blessed to have many children in our community. While we provide children's programming such as junior congregation and M&Ms (Munchkins and Michpachahs), parents know that their children are always welcome to join them in the main service anytime and if they are making some noise, that's okay too. Just last Shabbat, one of the very young members of our community was enthusiastically loud during a presentation by visiting scholar-in-residence Rabbi Burton Visotzky. The sky did not fall. Indeed, I was proud that there was no show of upset or consternation on the part of the congregation or Rabbi Visotzky. He continued with his sermon not bothered at all. Our children are our strength and our hope for the future. Let us be thankful for all of our children and all their shining promise for tomorrow. Stephen Asbel is the President of Suburban JCC-Bnai Aaron, a conservative synagogue in Havertown, Pennsylvania.